KCU-Kanas City annually participates in international mission trips, often in conjunction with DOCARE International, an osteopathic medical outreach organization dedicated to providing much-needed health care to indigent and isolated people in remote areas around the world. 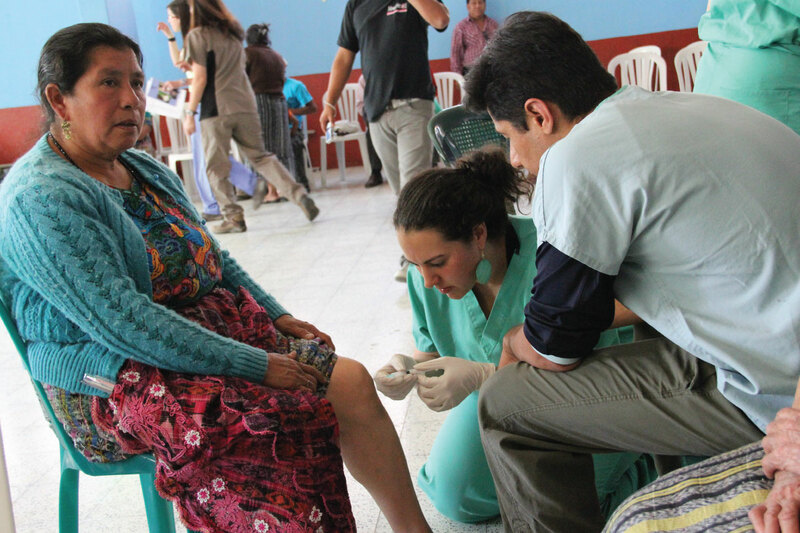 For more than a decade, KCU-Kansas City students have traveled to Guatemala to deliver care to thousands of patients, many of whom have not seen a physician in years. Patients are provided with a diagnosis and medications free of charge, and many receive osteopathic manipulative treatments for the first time in their lives. Since 2009, our KCU-Kansas City students and faculty have traveled annually to the Dominican Republic to supply medical outreach to various communities in need. In addition, we administer sports physicals to players at the Kansas City Royals Baseball Academy. Since 2014, KCU-Kansas City has collaborated with a Kenyan physician to deliver care to patients who present in his non-profit clinic. Students see firsthand the tropical diseases they have read about in their textbooks in this unique opportunity.